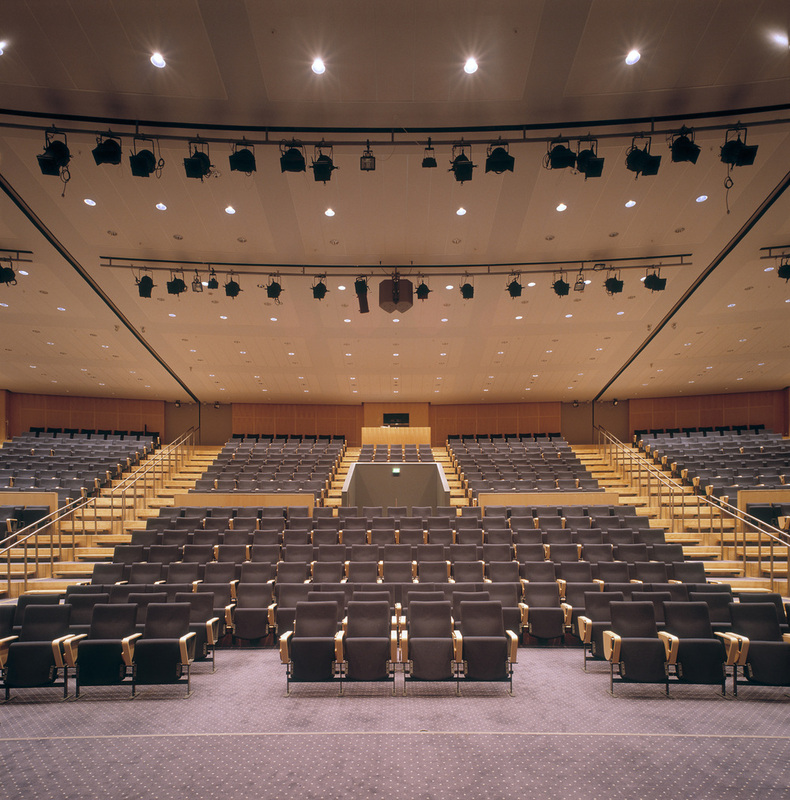 The magnificent Copenhagen Congress Center auditorium building marks the completion of the comprehensive Bella Center project, Vision 2005, for which DISSING+WEITLING architecture has functioned as architects for all building projects. The building – which serves as the main structure of Copenhagen Congress Center and adds a new distinctive profile to the Bella Center as a whole – dovetails perfectly in proportions and building materials with the existing building complex. In addition to the amphitheatre‑shaped auditorium seating 930, the building contains a foyer and recreational areas incorporating mobile bars, large glass facades and views across the open, grassy surroundings. Auditoriebygningen er afslutningen på Bella Centrets store projekt, Vision 2005, hvor DISSING+WEITLING architecture har været arkitekt på samtlige byggeopgaver. Bygningen der fungerer som hovedbygning for centrets kongresafdeling giver Bella Centret en ny markant profil samtidig med at der i proportionering og materialevalg er skabt sammenhæng med det eksisterende bygningskompleks. Den nye bygning rummer auditorium, opbygget som et amfiteater med 930 faste siddepladser, samt foyer og pausearealer indrettet med mobile barer og store glasfacader med udsigt over områdets grønne friarealer.